Camp Eagle Ridge is proud to be an American Camp Association accredited camp. 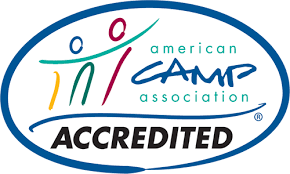 American Camp Association accreditation is a distinction that only one in every four camps seeks and earns. 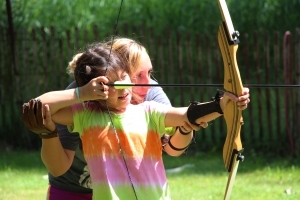 To earn our accreditation, Camp Eagle Ridge complies with over 300 health, safety, and program quality standards. Accreditation is solid proof of Camp Eagle Ridge’s professional integrity and commitment to risk management. We invest in accreditation because our children deserve the best. 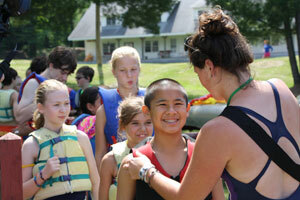 Camp Eagle Ridge boasts one of the highest staff retention rates in the United States! Most of our counselors have years of experience. Almost all of our staff were once campers at Eagle Ridge themselves and succeeded in our Counselor-In-Training and Junior Counselor programs. Our staff receives specialized training in child development, lesson planning, risk management, counseling, emergency procedures, water safety and much more! Our instructors also receive training in their areas of expertise such as lifeguarding, rock climbing, archery instruction, sailing, paddling and coaching. Our counselors are chosen on the basis of their character, ability to be a role model, teaching skills and ability to help young people develop into successful adults. We have a fully stocked Health Center with 24 hour medical care on site. Campers receive a health screening upon arrival at camp. At that time, any medications are checked in with our Health Manager and dispensed daily according to physician’s instructions. The completion of a camper health form is required prior to the start of camp. The health form is read by the Camp Director and all qualified health personnel; including, but not limited to, our Health Manager, doctors, nurses, emergency responders, first aid providers and E.M.T.s. Please be honest and forthcoming with your child’s physical and psychological health history. Our goal is to provide the best care possible for each and every camper. The information on the health form may be shared with other camp personnel to provide the best care possible. If you have information that you do not want shared with particular camp personnel, you must provide that request in writing. In the event that your child requires hospitalization or emergency treatment, you will be notified. You will also be notified if your child sees a physician or spends the night in our Health Center. The health of all campers is monitored daily by our Health Manager. All prescriptions and medications are kept and dispensed by the Health Manager. Medications are not to be kept by campers. A dental and/or orthodontic check-up is highly recommended prior to the camp season. We request that you do not send your child to camp if he or she has symptoms of flu or other virus. Every effort will be made to accommodate a late start or a session change if possible.